Katie Couric thinks it would be "challenging" for Matt Lauer to return to television. Couric, who worked with Lauer for years as his co-host on "Today," appeared on "The Wendy Williams Show" Tuesday to promote her new National Geographic series, "America Inside Out." Naturally, talk turned to Lauer who was fired by NBC in November after multiple women accused him of sexual harassment. "Well, you know, it's been a very painful time for a lot of people who worked with Matt, knew him, really care about him, and who never witnessed and experienced any of this behavior that is now obviously being talked about," Couric said. "I don't know the full extent of all these things that happened. I can only talk about my personal experience and I was always treated respectfully and appropriately." As for whether Couric believes Lauer will ever be able to work on television again, the journalist acknowledged that it would be difficult and said it's not her call. "That's really not for me to say, Wendy," Couric said. "I think it depends on sort of the the path he chooses and how he decides to handle what has happened and the full extent of what has happened I don't think has been truly revealed." Following Lauer's abrupt departure from NBC last fall, he released a statement apologizing for the pain he caused others by his "words and actions." 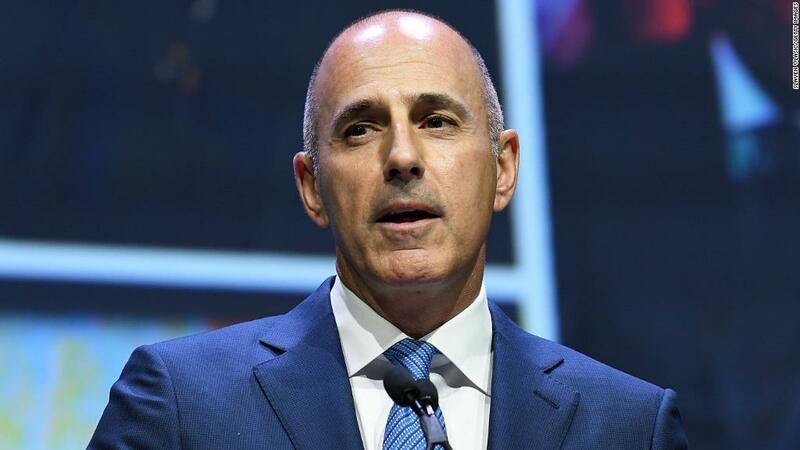 Last week, Lauer issued another statement in response to a report by the Washington Post about how NBC News has handled the misconduct allegations against him and others within the organization. "I fully acknowledge that I acted inappropriately as a husband, father and principal at NBC," Lauer told the Post. "However I want to make it perfectly clear that any allegations or reports of coercive, aggressive or abusive actions on my part, at any time, are absolutely false."